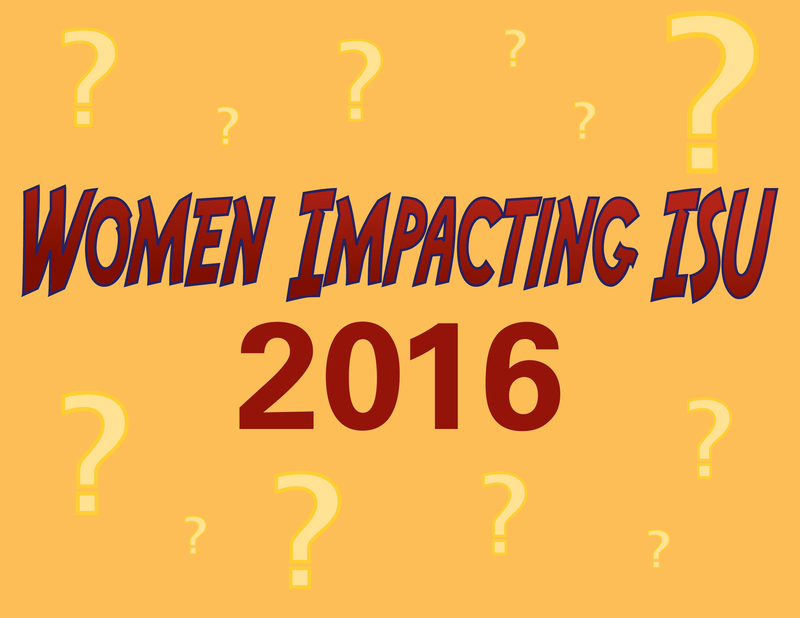 The deadline to submit nominations for the 10th annual 2016 Women Impacting ISU calendar is Wednesday, Sept. 30, at 5 p.m. The calendar is sponsored by the Carrie Chapman Catt Center for Women and Politics with funding from the Office of the Senior Vice President and Provost. Nomination forms are available on the Catt Center’s website: https://cattcenter.las.iastate.edu/. "It's great to be celebrating 10 years of the Women Impacting ISU calendar," said Dianne Bystrom, center director. "The calendar was suggested by a group of students and, since 2007, has continued its mission to recognize and pay tribute to women faculty, staff and students who have distinguished themselves through their accomplishments at Iowa State University." The annual calendar highlights the accomplishments and achievements of 12 women who are currently students, faculty or staff on the Iowa State campus. Selections are made by a committee comprised of previous honorees, past nominators and Catt Center staff based on the nominees’ achievements in teaching, research, service and administration as well as their involvement in various campus activities. Catt Center staff and students publicize and collect the nominations; organize the recognition reception held in January of each year; and design, order and distribute the free calendars. “Mark your calendar,” Perkins said. The 2016 Women Impacting ISU calendar reception will be Wednesday, Jan. 13, 2016, from 3:30 to 5 p.m. in the Sun Room of the Memorial Union. For more information about the calendar nomination process, contact Perkins at perkinsk@iastate.edu or 515-294-9867.